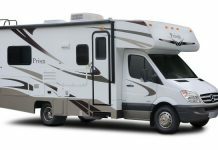 Unbeknownst to the general public, RV travelers have been ‘green-conscious’ while on trips for quite some time now. 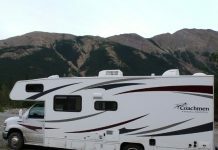 Some of the green activities that RV travelers adopt include minimizing water usage, recycling, using solar-powered equipment when possible, using non-toxic cleaning and laundry supplies, among many others. 94% travel with at least 2 – 7 people at a time which saves more people miles per gallon than other types of camping trips. The RV industry itself is becoming more environmentally conscious to meet the demands of its users. 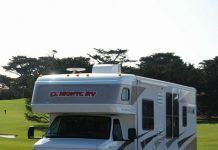 Some of the more innovative green ideas out on the market today include hybrid/electric full-size and compact diesel motor homes, travel trailers and motor homes built of recycled and composite materials, solar and hybrid generators, LED light fixtures, lighter weight appliances to reduce fuel consumption and so much more. This shows that RVing seem to be one segment of the travel industry where both the customers and the industry are both in align to help preserve the environment. 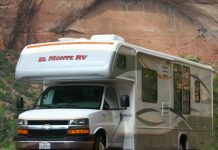 In fact, according to a study comparing total CO2 emissions, a family of 4 on a RV vacation is more environmentally friendly than the standard family vacation utilizing a plane, car rental, and hotel. 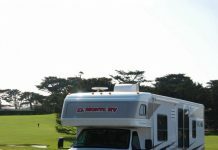 If contemplating purchasing an RV to travel around exploring the country, make sure to be ‘green conscious’. With all the available environmentally friendly products and information on green RVing, and many fellow RVers currently following green practices, there’s no excuse not to participate in green activities as well to do your part in preserving our natural environment.